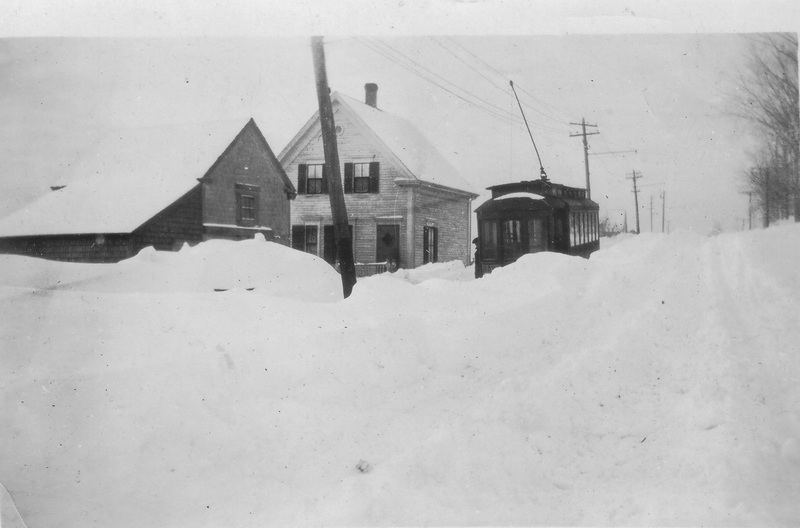 Last week’s storms were cumulatively probably as much snow as we’ve had around here in one week for a good long time. The Historical Society has many photos of snowy winters over the years- back in the days before front end loaders and massive snow plows, days when the snow pretty much stayed where it fell unless it fell on the railroad or streetcar tracks. 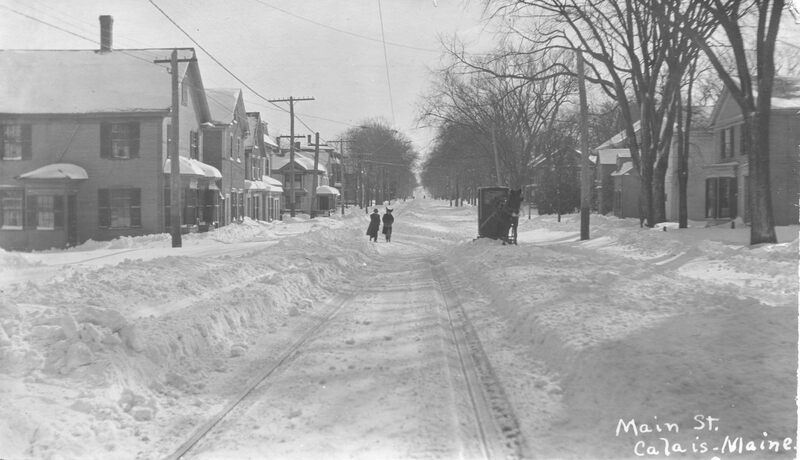 We thought it an appropriate time to share a few with you.This circa 1914 photo shows Main Street from the corner of Monroe looking toward North. To the left is the Palace movie theatre, later Grant’s Store, and the Kalish Clothing Store topped by its famous minaret. Far down the street dead center is the Hill Pike Store, the corner of which appears in a later photo. Looking down Hinckley Hill to the golf course about 1900 you can see someone making for town. This brave sole either knew the streetcar schedule well or was prepared to climb the bank in a hurry. 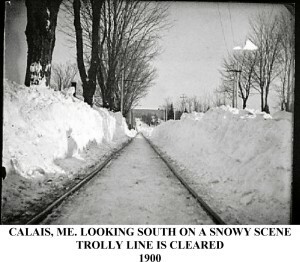 After a big snow travel between Milltown and Calais was nearly impossible except along the railroad tracks which like the streetcar tracks were cleared. People risked their lives walking along the train tracks as the train could come on a pedestrian much more quickly than the streetcar. Although most people knew the train schedule by heart many people were killed on the tracks when surprised by “Specials”- unscheduled trains often carrying rich folks in a hurry. 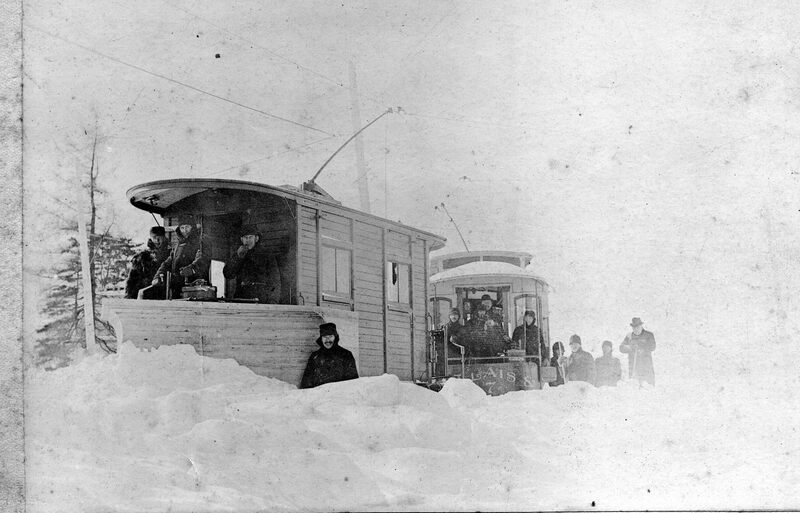 ​ In this photo the passengers in Calais streetcar 7 look on hopefully as the streetcar plow seems to have met its match. 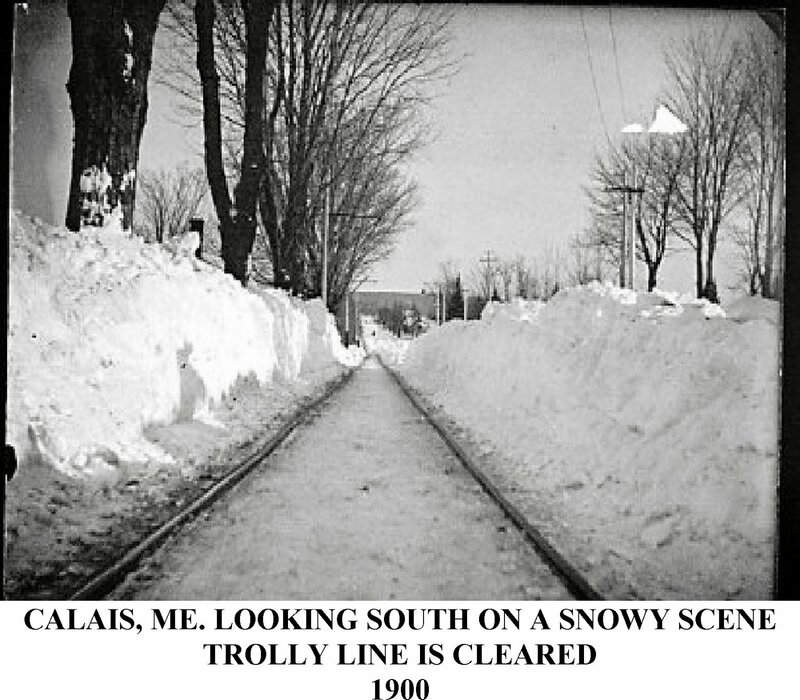 Sadly it appears it will suffer the fate the streetcar below ​Sometimes the battle with the snow was lost and streetcars were temporarily abandoned in the drifts. 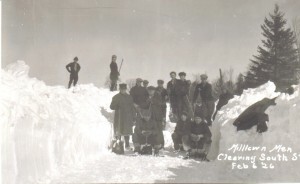 with the crew working their way down South Street from Milltown. 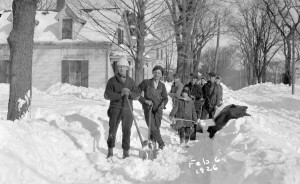 These fellows drew the long straw and had only to shovel sidewalks, this one on Germain Street just down from Washington. Ruth Clark’s house is to the left. It is now owned by Debbie Mitchell. 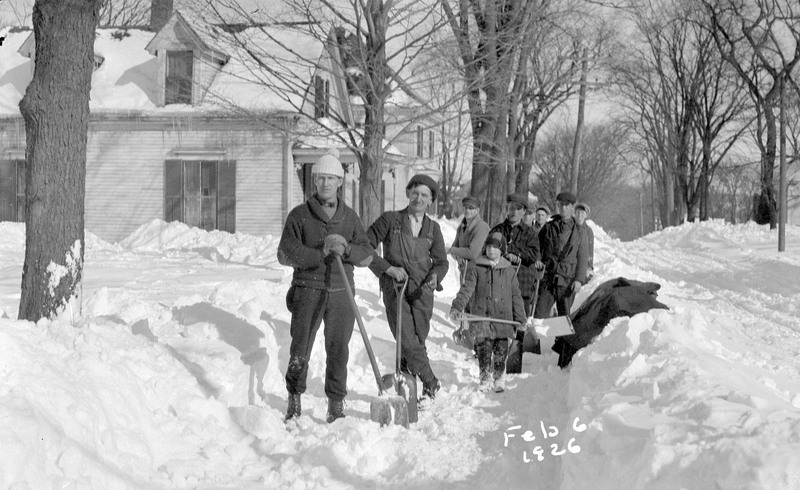 ​ But life went on a hundred years ago even in the dead of winter. 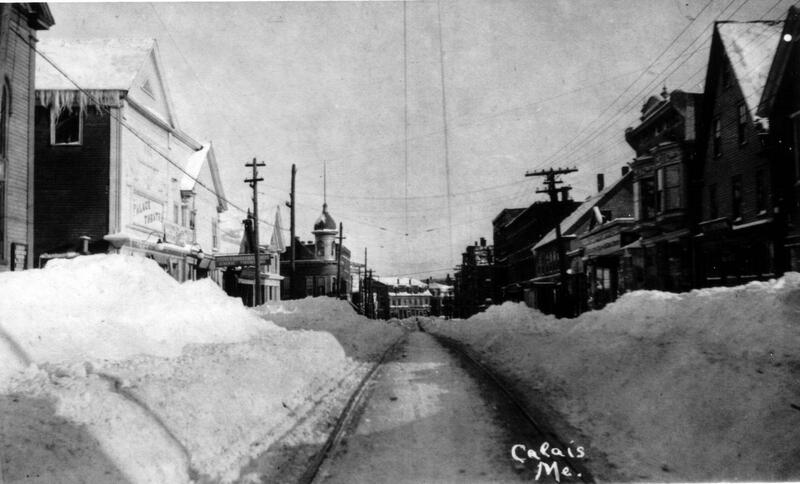 This is Main Street looking from the corner of Calais Avenue toward Hinckley Hill. 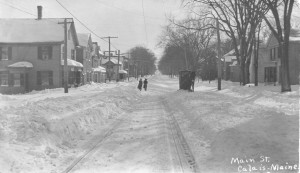 A couple in the foreground are walking along the trolley tracks, a covered sleigh is making it’s own path to the right and further down Main Street several walking figures can be seen. 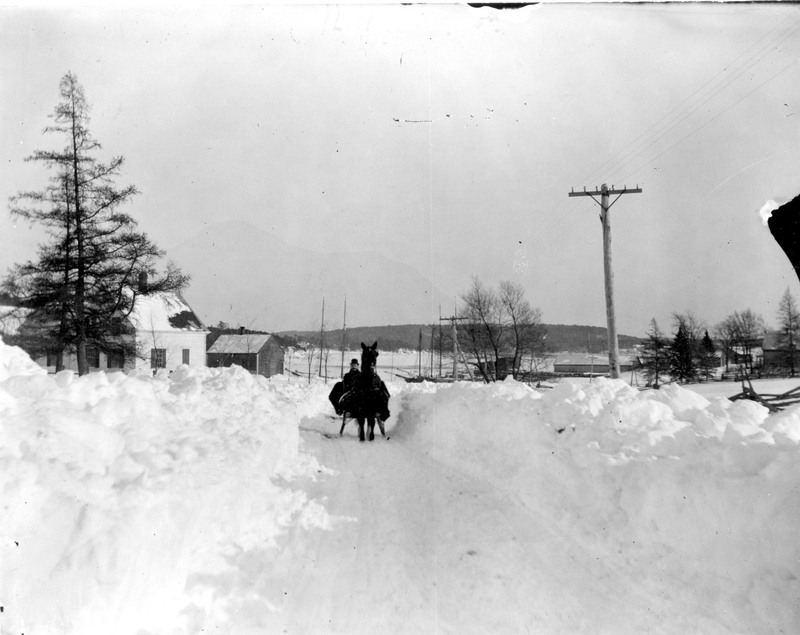 This horse and sleigh is proceeding toward Calais just in front of the golf course, long before there was a golf course. The Todd farm house, the farm purchased for the Golf course, is to the left. 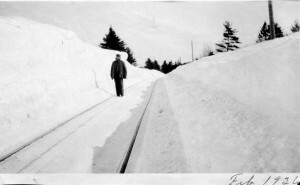 It is very likely the sleigh will soon come upon the cleared streetcar tracks at the intersection of Steamboat Street which you have already seen in photo two above. 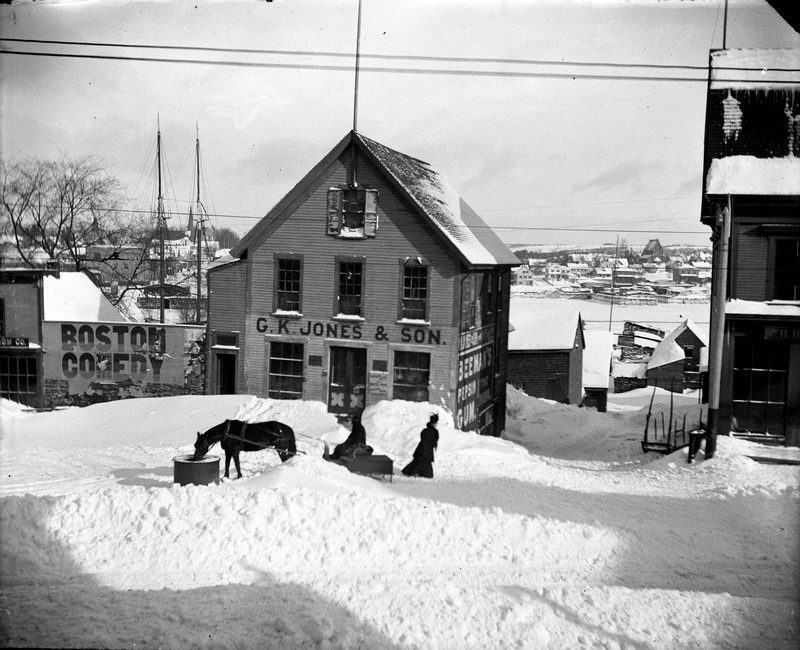 ​ In one of our favorite winter scenes a horse pulling a small sled is drinking from the water barrel at the bottom of Church Street. A lady, well dressed for the weather, is walking toward the Hill Pike store, later Cole Bridges,to the right. In the background across the the river is the St Stephen waterfront. 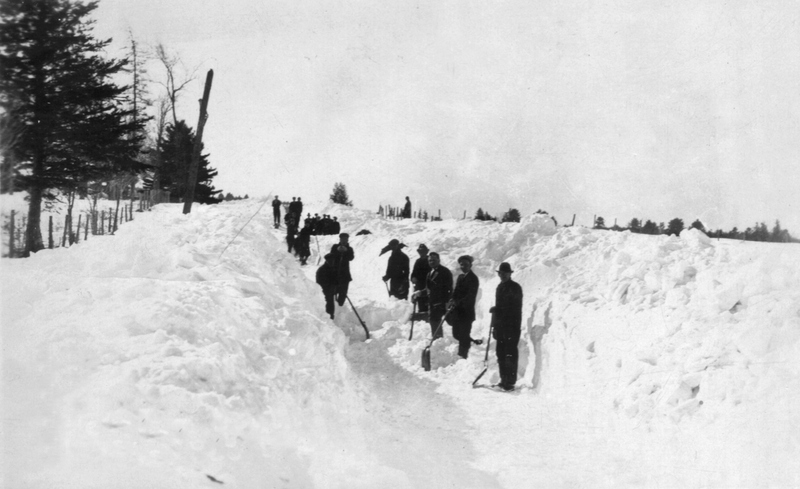 To the left is Hog Alley and just out of view would be the library although this is a very early photo and may predate its construction. A Boston Comedy show at the Opera House is advertised on the hoarding. G. K. Jones and Sons sold stoves and was likely very busy just then.